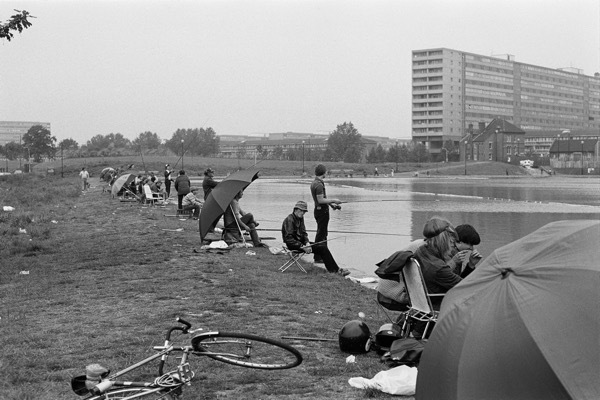 In this extract from the forthcoming Issue 6 of FALLON’S ANGLER (a medley of piscatorial prose), John Andrews contemplates Colin O’Brien’s photographs of Burgess Park. Where were you in 1984? 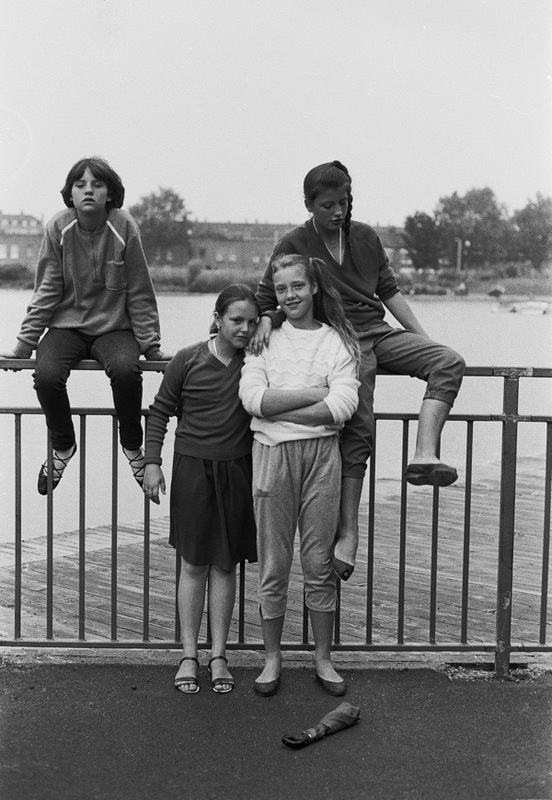 On Sunday 17th June of that year, photographer Colin O’Brien was in Burgess Park just off the Old Kent Rd. In recalling it, he says ‘The weather was dry and warm and the park buzzed with activity’. 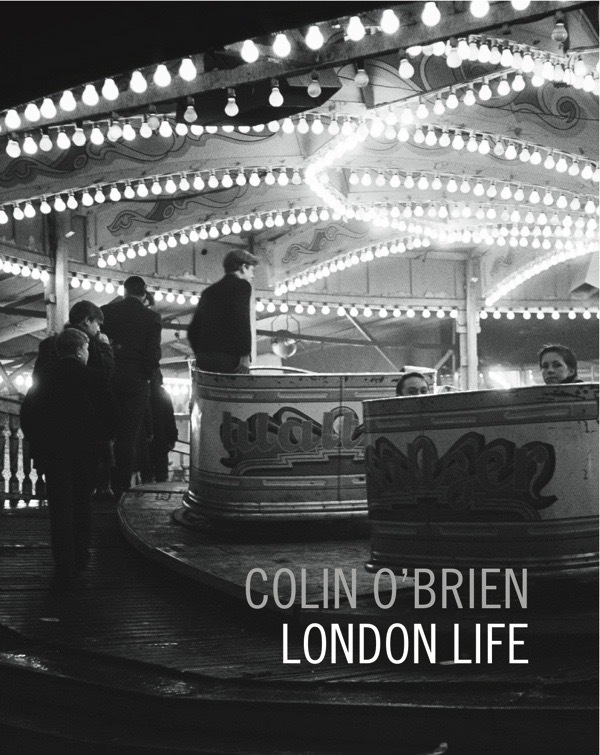 I first saw one of the photos Colin took that day when he held a slideshow to celebrate the launch of his book London Life, a collection spanning seven decades, published last year. 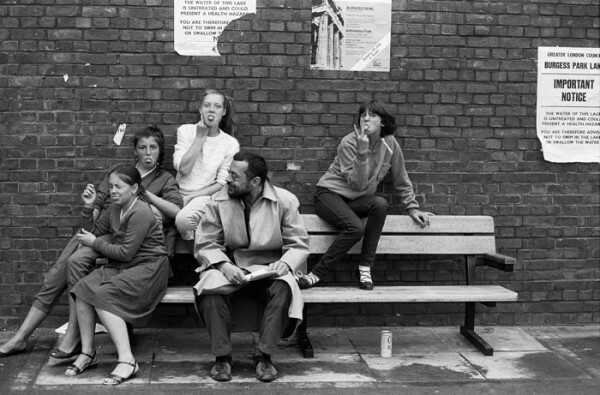 Amongst the shots of London landscapes lost to us now – including an array of bomb sites, proto-Teds, street markets, public bars without carpet or television, fun fairs, fly-pitchers, men and women in everyday hats, streets devoid of motor traffic, gangs outside junkyard gates, prefabs, football coaches called ‘Mick the Fruit,’ Ford Populars, a portrait of an English World-Cup-Winning Captain, dustmen with handcarts, shops selling Rover Biscuits, nuns sweeping the streets and the last day of the Routemaster – an angler suddenly looked directly at me from a new slide that had just lit up the room. There he sat on a folding aluminium stool on the banks of Burgess Park Lake his rod across his knees the rim of his hat pulled down, his hands busy baiting up. In his slacks and trainers like everyone else and yet in his gaze an angler apart. All the other fishermen watch the water, but he stares straight at the camera from several tens of yards away. Like many subjects in Colin’s photographs, he is not speaking but his look, his expression, his stance speaks volumes. There is the look of an angler drawn to their local water only a few miles from the centre of the city and suddenly called back into the ‘real’ world by an outside distraction. In June 1984, a lot of photographers were travelling north to record the daily battles on the picket lines of the Miners’ Strike. 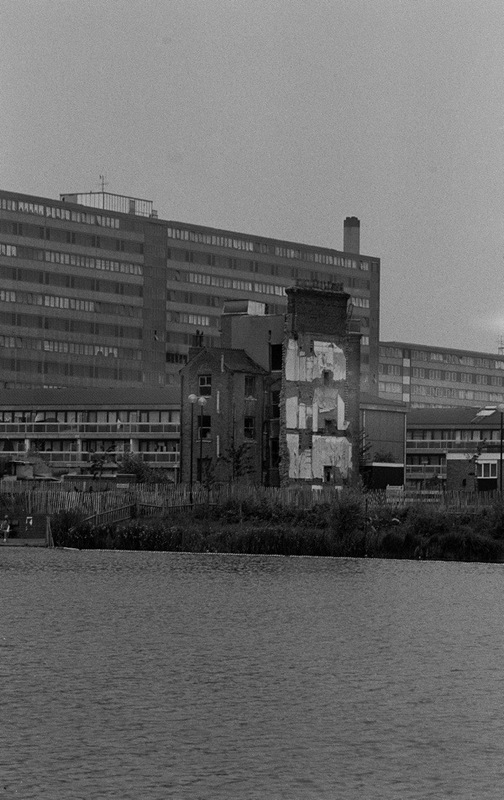 But Colin O’Brien stayed in London and went to Burgess Park – a place which had been under construction as an open space since the war and where the lake had only been dug two years earlier, in 1982, close to the site of the old R. White’s Ginger Beer Factory. When finished, it was filled with twelve million gallons of water and stocked with 11,000 fish many of them taken from other municipal ponds such as Highgate. The park, named in 1973 after local councillor and former Camberwell Mayor Jessie Burgess in recognition for her work during the Blitz, was an evolving social project called by some a social experiment so perhaps it is no surprise it should attract a photographer like O’Brien as a chronicler of Londoners’ lives? Published above is the shot I saw on the night of the launch of London Life, accompanied below by a number of others not previously published from the same roll of film. They tell the story of the day after the season opened in 1984. You may recognise a younger self in one of the pictures. Every angler will recognise the sheer fervour of the opening days of a new season, still preserved on most of London’s municipal park lakes. The tackle will be familiar to many too. An Olympic match rod, most likely in blue and white glass with a gold foil trim, a Pegley-Davies visor pulled down over an H-Blocker’s haircut and a nylon fishing umbrella – we nearly all had one – eleven quid from Argos. ‘I can’t believe that it is more than thirty years ago’ said Colin and yet it is, it is almost another age and it is most definitely last century. 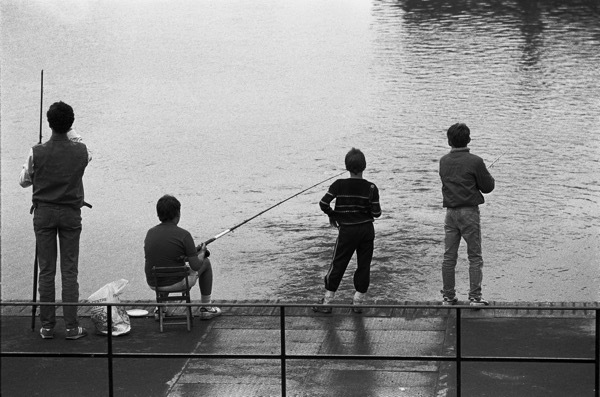 These were the days before angling changed into what it has now become. There is no specific angling clothing, there are no chairs other than the ubiquitous press-ganged nylon deckchair and the odd picnic stool or seat box. Any trolley here would have been submerged in the lake not parked on the bank. Oh yes, what were you doing on 17th June 1984? Colin O’Brien – who had been born in May 1940 and had grown up in ‘The Dwellings’ on the corner of Farringdon Rd and Clerkenwell Road and who began shooting film on a Box Brownie and later went on to shoot the dust jacket for the First Hard-Backed Edition of Bill Naughton’s ‘Alfie’ – has his own record. Interesting to read this: from the 1950′s I grew up around this area and remember the housing demolished to make way for this park. Oh are you a Jam fan GA? Colin O’Brien brilliant as always – never disappoints – striking images. The thing about Colin O’Brien’s photos – I have been a fan for several years now – is that they remind you of things you have forgotten to remember. They are not usually of “key moments” like the miners’ strike but everyday events . It is often difficult to remember the ordinary in the passing of time and his work helps us do this. 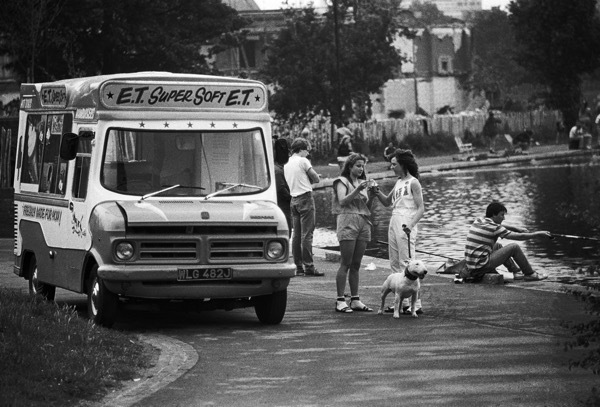 I was living in a crumbling Victorian terrace just up the road at Elephant and Castle when those pics were taken, I remember Burgess park very well, we used to take the old pooch there sometimes…I noticed another English Bull Terrier in the photos, these were very popular round that area at the time and you saw loads of ‘em ! There was a great old derelict 18th cent church almost opposite the park we used to climb in and lark about, happy days !